Wyoming holds the promise of a bright future for newlyweds Cole and Ann Bonner. Alongside Ann's sister, her husband, and their children, the young couple have braved the long, hard road across Nebraska in hopes of building a new life for themselves on a tract of land near Crow Creek Crossing. But their dreams of a fresh start are quickly cut short. 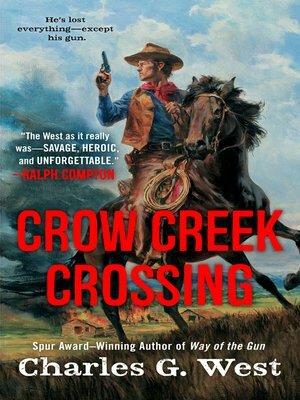 While Cole is away in town, a gang of outlaws led by the vicious Slade Corbett raids the family homestead, leaving behind a smoking ruin and the mutilated bodies of everyone Cole holds dear. The horror and anguish are almost too much for him to bear and they transform this once easygoing young man into a grim avenger. With cold, merciless determination, Cole vows to track down every last member of the gang and make them pay in blood.